We’ve all come across them, but not everyone knows how to handle a Negative Nelly. It may be our cousin, our spouse, one of our kids…It can be a coworker, a friend, even a client. These are the people for whom optimism doesn’t seem to exist. No matter what the occasion, the Negative Nelly can find, focus on, and draw your attention to the pessimistic side of the situation. The person who steps into a party sure that it will be a flop. The person who tells you what a mistake your newest job venture is. If you’ve never found yourself in the presence of a “Negative Nelly” perhaps it’s even you. Enjoying this article so far? Please take a minute to pin it! A lot of people handle a “Negative Nelly” in one of two ways: they either try their best to ignore them, or they avoid them all together. Neither one of these ways is all that efficient — especially if you happen to be dealing with one as a client. Avoid them, and the Negative Nelly will simply include you in their list of bad things happening to them. The family member who never gets invited to your BBQ on July 4th, the coworker who is always left out of the announcement for donuts in the break room. The client who complains about how little you email them about their project. And, whether we’re talking about family members or clients, you can’t avoid them forever. At some point in time, you are going to have to face them. And if you’ve spent all your time avoiding them, that encounter is going to be that much more uncomfortable. The negative person will talk to anyone and everyone he or she can, and unlike other forms of communication, doesn’t stop just because you’ve chosen to ignore them. Because of this, ignoring negativity has a way of making it even louder. And a Negative Nelly helps it spread even faster. 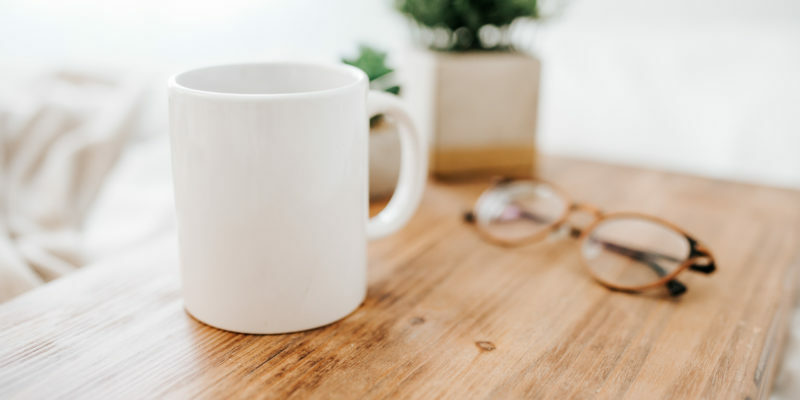 By ignoring or avoiding the Negative Nelly, you may inadvertently help it pervade your work, your own mood (not to mention the mood of other people), and the overall atmosphere around you. This means that if you want to be able to do your best work, you have to be able to diffuse a Negative Nelly and keep their negativity from interfering with the project. Otherwise you risk being added to their long list of things going wrong in their life. And I don’t know about you, but I never want to be on that list. But isn’t a Negative Nelly’s Success Dependent on Their Own Attitude? We have a tendency to believe that positive people will always succeed. And therefore, if someone doesn’t succeed, then it must be because that person is not doing what positive people do. We also have a tendency to say that some people put up mental blocks — essentially prohibiting themselves from succeeding and therefore it’s all their own fault. I am not truly a subscriber to either of these beliefs. I do believe that attitude and positivity go a long way. But I also believe that these are not things that come instinctively. Some people have to learn how to think positive. And here’s a hint: telling someone to “just stay positive” or “just focus on the positive” doesn’t teach them how. 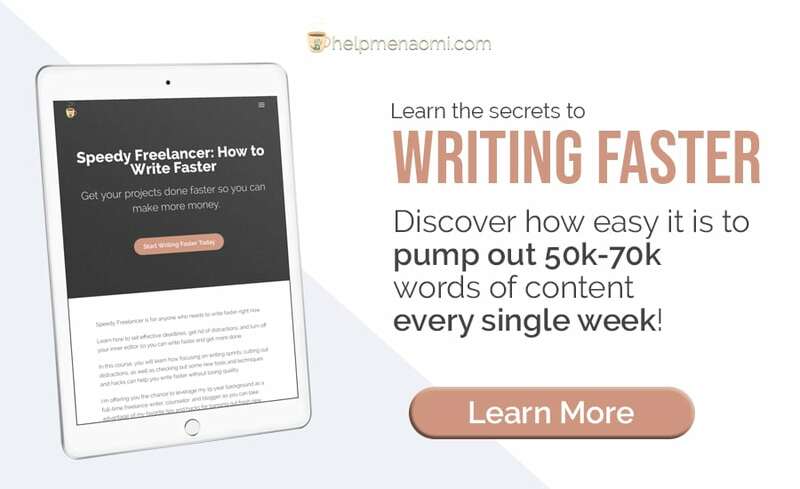 As a freelance writer, you’re in the unique position to be able to influence the atmosphere of your working relationship with your client. So, in a real way, his or her success will depend just as much on your attitude as it will on theirs. Instead of trying to avoid the Negative Nelly in vain, the best way to handle a Negative Nelly who’s a client is to face him or her straight on and diffuse the negativity like a well-trained bomb technician would diffuse an explosive threat. There are three basic steps to this process. Remember your Negative Nelly Client is armed. 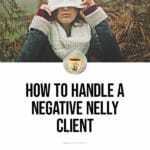 Validate your Negative Nelly Client. Let’s take a closer look at these steps. People don’t choose to be negative just because they hate being happy. They don’t seek out the negative because they don’t know how to see the positive. These are the things we tell ourselves to make us feel better about not knowing how to handle them. But the truth is, they are working with years, even decades, of experience telling them they are right to be negative. Life itself has taught them that the other shoe will always drop. That no matter how hard they try, something will always go wrong. And that the more they look forward to something, the more disappointed they will be when it comes around. These are the people who do not trust other humans to fulfill promises or uphold responsibilities. In many ways, they don’t even trust themselves. And do you know where people get these ideas from? Because everyone in their lives has let them down, broken promises, or in some other way disappointed them. And the few who didn’t are so rare they’ve been assigned a special designation. The Negative Nelly is able to separate those rare people who haven’t disappointed them from the rest of “people.” These rare people are special, and therefore don’t count when making their regular generalization that “all people” will ultimately let them down. Remember to validate your Negative Nelly. One of the first things people try to do when they discover they have a Negative Nelly in their midst is to explain how that Negative Nelly is “wrong.” They try to point out all the ways that the Negative Nelly is mistaken. Remember step one: the Negative Nelly is armed with the knowledge that he or she is right. You aren’t fighting objective logic, but rather private logic ruled by emotions and proven by experience. They aren’t wrong for guarding themselves against the disappointment, or for believing that your meeting, party, or social gathering will somehow end in disappointment for them. You’re wrong because you don’t understand them. Rather than trying to explain to them about how wrong you think they are, the best way to handle a Negative Nelly is to validate their concerns and recognize just how they might be right. This will let them know you at least understand them — even if you don’t agree with them. No one likes to be ignored. And if a Negative Nelly believes you aren’t hearing them, then they have no reason to believe you when you tell them how much they will enjoy working with you. Remember, you don’t have to agree with the Negative Nelly in order to understand their feelings. The last step is to simply diffuse the negativity. For most Negative Nellies, once they’ve been heard and know that you understand where they’re coming from, they are more receptive to hearing you from the other side. And if you tell them all about those positive things you’re expecting, they are less likely to speak out against it. 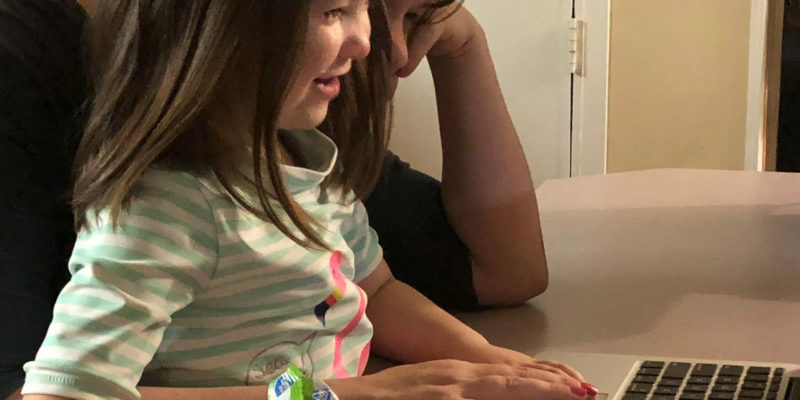 Once you let them know how much fun, excitement, or positivity you have planned, the final key is to draw their constructive energy in with a question. Asking a question allows the Negative Nelly to become part of the solution he or she is wanting you to come up with, and again validates their concerns so they know they’ve been heard. It is a nice, peaceful way to invite them over to the positive side without trying to tell them they are wrong, ignore them, or trying to avoid them all together. 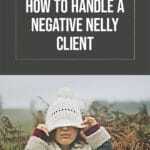 Check out the following examples of how you might handle a Negative Nelly. In the two examples that follow, you’ll be able to see this formula in action. In both of these examples, I didn’t necessarily agree with the client (or their feelings) but I did recognize the fact that I understood them, I acknowledged them, and then I promptly invited them to help me find a solution. What if I just Don’t Accept Work from a Client who is a Negative Nelly? You can absolutely make it a part of your overall strategy to avoid taking on projects from Negative Nelly Clients. 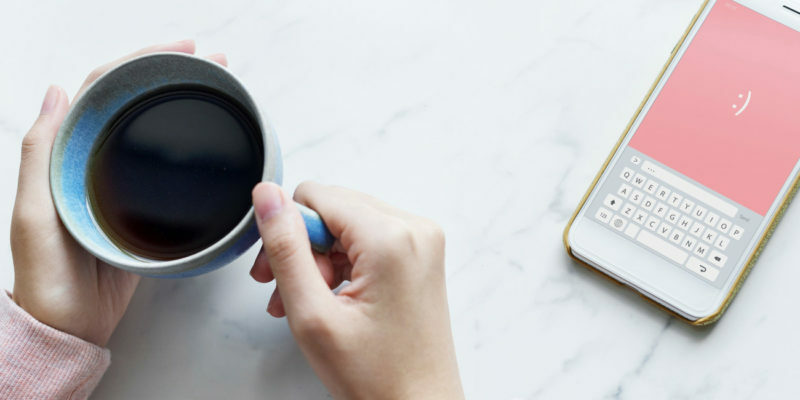 Unfortunately, sometimes it can be hard to tell who’s a Negative Nelly and who isn’t until you’ve already started working — especially if it took them a while to find you. 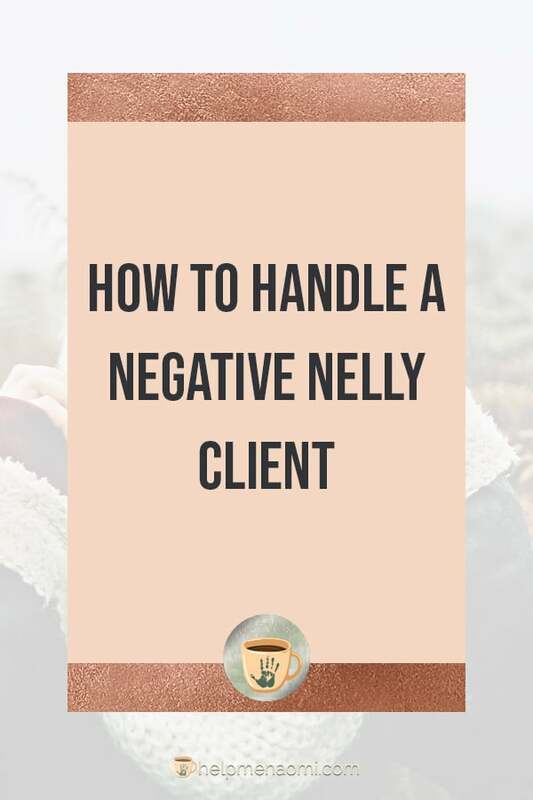 So, even if you plan on avoiding working with negative clients, in the cases for when you don’t find out about your client’s negative habits until you’re already keyboard-deep into the project, it’s best to know how to handle a Negative Nelly client anyway.